Nobody predicted that it was going to be a night full of surprises when the 13-time European Champions Real Madrid locked horns with CSKA Moscow at the Luzhniki Stadium. Many, in contrast, would have predicted that it would be a tough night for CSKA whose starting XI had an average age of just 24 years. When you dig deeper into the age of the players who were going to face the mighty Madrid, it would astonish you even more. Five of the players in CSKA's starting XI were of or below the age of 20 while two players aged 22, 28 and 32 each would start the game. The three substitutes who would come on later at different points during the game would be of age 19, 20 and 23. The clock barely began ticking as fans from all around the world were settling down to enjoy just another game. Out of nowhere, a loose pass from the German International Toni Kroos fell kindly for the Croatian midfielder Nikola Vlašić. He then rushed forward and put the ball into the net past Keylor Navas with a brilliant finish despite the efforts from Varane and Sergio Ramos to stop it. The entire 81,000 capacity stadium erupted as everyone tried to comprehend what they had just witnessed. The legendary Real Madrid who had won three consecutive Champions Leagues were trailing to CSKA Moscow within 1 minute and 7 seconds of the first half. 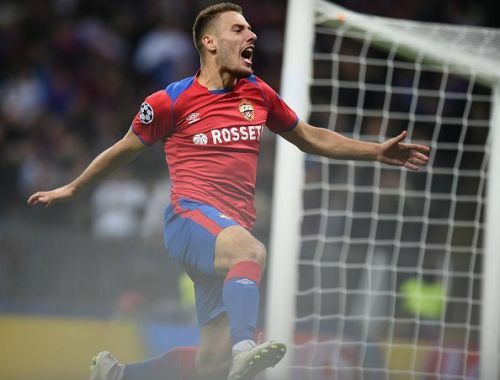 Through the course of the remaining game, CSKA Moscow maintained a very disciplined defensive line while presenting a considerable threat in offense. Real Madrid themselves came painfully close to scoring as they hit the post on multiple occasions and missed some headers narrowly. The game ended after an added time of 4 minutes which extended to almost 10 minutes with a slight touch of controversy. CSKA's goalkeeper saw a red card due to two quick yellows for dissent against the referee. But when the whistle blew, nobody cared as the players and the stadium broke into celebrations. A new page was added to the books of history. Real Madrid had bowed down to a very, very young CSKA Moscow team.